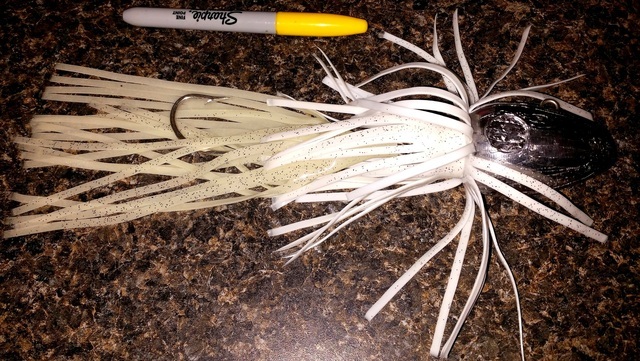 1-, 2-, 3- and whopping 4-pound articulated tail lead head jigs. With a swinging, non-fixed hook, this is the modern-day version of the old, fixed hook, much less lifelike leadhead design of the 1970s. The articulating hook pivots at the rear 90 degrees in any direction, allowing you the freedom to put all sorts of subtle (or not-so-subtle) action to the lure. Since the hook is no longer stuck in the lead (instead it hinges on a strong, deeply molded in stainless steel eye) its body-mounted skirts move with the lead-head body and the final, longest tail moves slightly inside the body-mounted skirts, swinging side to side and up and down up to 90 degrees! This allows it to act in a fluid, much more life-like motion – alot like a real octopus or bait fish would move. This lets you to put subtle actions into the lure in ways that were never possible in a fixed hook lure. 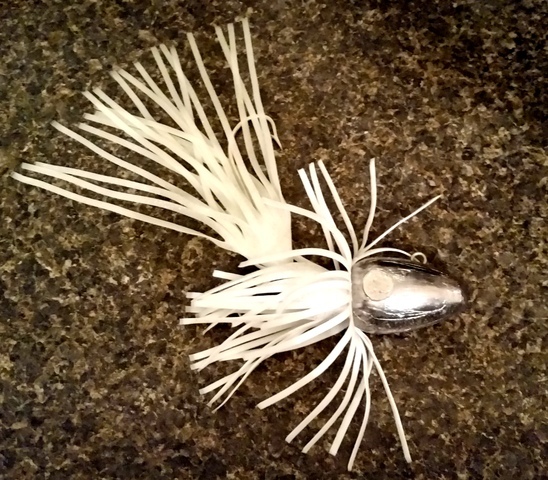 Built right, these jigs utilize the strong vinyl halibut / ling cod skirts (typically Gibbs / Delta Tackle, in available sizes), so they will take the abuse. Also, each has a total of three to four skirts for more undulating action than just 1 or 2 skirts. And a strong, sharp Mustad 3407DT hook completes the setup. I have them in several colors, patterns and weights. 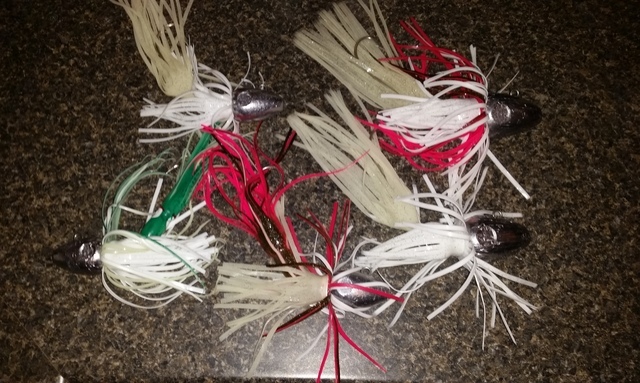 See the pictures for more details and as always, feel free to contact me at leadmolder@hotmail.com for more details, if you have any questions or to order up some jigs. 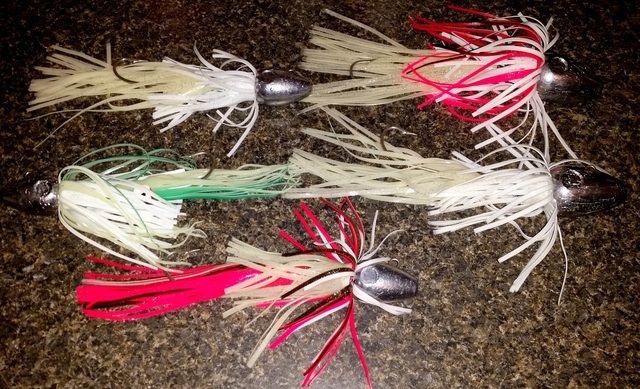 Note: Due to skirt color and size availability, not all color or skirt combinations shown are available in all jig weights (especially the 4-lb. ), but the ever-popular white/glow is available in all sizes listed. As always, I will also do my best to accommodate any requests you may have. Thanks and have a great time out there again this year! A fished shark and item is posted for the flow of the options for the humans. The numbered item and best writing services reviews are implemented for the candidates in the midst of the affairs for the passengers.